With 24/7 access, beautifully designed interiors, light and airy office spaces and generous breakout areas, Locus brings you all the advantages of a city office, without the commute. Locus’ convenient location, right in the heart of Taren Point, gives you the perfect work-life balance without wasting hours on a daily commute. Close to bus stops and public transport, Locus has ample parking and its close proximity to child care, gyms, cafes and banks means that life doesn’t have to stop once you get to work. Looking for inspiration? With beautiful, open, light-filled spaces, and dazzlingly modern design touches, Locus’ fresh, cutting-edge interiors will give your business a truly professional edge and inspire your team to reach new heights. Locus will draw a true mix of complementary businesses together, providing numerous networking opportunities in the breakout areas, kitchen and on-site gourmet cafe. Giving you the opportunity to forge new relationships and embrace a new, collaborative way of working. 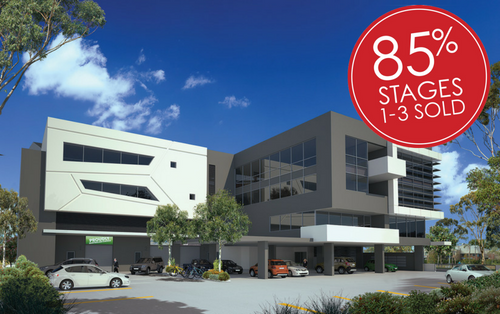 Prestigious, in demand and perfectly located in a real growth area, this state-of-the-art building provides a fantastic opportunity for anyone looking to make a smart, sustainable investment. If you’re looking to diversify your wealth or make a secure investment, Locus provides the perfect opportunity. By creating a cutting-edge, beautiful workspace close to home, Locus gives you more time to spend on the things you love, whether that’s growing your business, hanging out with the kids, or practicing your golf swing.